If you never took care of your hair, you probably would not be an especially happy camper. Your hair, matted and tangled, would accumulate grease and dirt that would be impossible to completely clean out. You would feel hot and dirty, and you honestly would not smell very good. A regular shower and haircut does wonders, not only for your appearance, but for your mentality. SImilarly, a regularly groomed dog is a happier dog. Many people think that grooming is just about making your pet look pretty, but it is so much more than that. Our resident groomers, Steven, Tara and Reba, had a lot to say on the subject. Based on their comments, this is our list of the top 3 reasons to get your dog groomed regularly. First and foremost comes your dog’s health. Think of getting groomed as kind of like a checkup with your doctor. A professional groomer will be able to identify a lot of problems associated with your dog’s skin, such as rashes, bruising, cysts, and the like. They’ll also be able to inform you of problems with their ears, feet, and teeth, as they are going to be dealing with those a lot during the grooming process. Regular grooming will prevent a matted coat, which can cause serious damage to the skin and fur by cutting off circulation, and it can also work wonders on your dog’s joints, preventing early-onset arthritis that can be caused by unclipped nails. Consistent grooming will help your dog stay healthy and happy, and keep you a lot less stressed out. Keep in mind, however, that a groomer is not a vet, and shouldn’t be expected to give a diagnostic. Grooming is a lifelong process, just like going to the doctor is. Acclimating your puppies to the groomer’s touch will make it that much easier for them to be calm as older dogs. The stereotype is that all dogs hate getting haircuts and baths, but in reality, a dog that has been properly trained to accept these necessary steps will go along with them just as easily as a child does. Young children might squirm and complain when you stick them in the bathtub, but eventually, they will accept it as a natural part of life and even learn to enjoy it. Same goes for dogs. The more your dogs get groomed, the less they will struggle and fight about it. Hair gets messy. Skin gets greasy. Ears get waxy and nails get dirty. 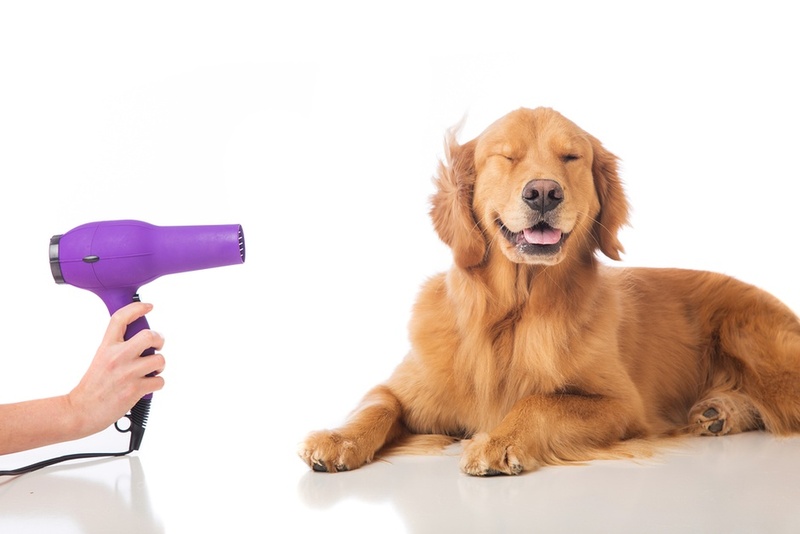 A regular groom will ensure that these blemishes are dealt with professionally and swiftly, and that your dog doesn’t drag that infamous “wet dog stench” around with him wherever he goes. Letting him go too long without a groom would be like letting your kid to school smelling like body odor and last week’s tee-shirt. Nobody is going to be especially eager to pet a dog that stinks or feels like grease. Keeping up regular hygiene is essential to being able to fully appreciate all that your dog has to offer. Grooming is a vital element of owning a dog, whether it’s a fluffy little Pom or a sleek labrador retriever. Come in a talk with our groomers about brushing, bathing, trimming, or anything else you’d like to know. They’ll give you regular upkeep tips and also scheduling advice. Reba, Steven, and Tarra are adept professionals and can answer any questions you have about the process and the details. To get in contact with us, please email eric.nault@longdogfatcat.com, or you can call the groomers directly. Reba can be reached at 402-469-1917, and you can call Tara at 402-278-2775, and both can be found at our location on 90th and Center. Steven can be reached at 402-933-1123 at the store on 168th and Burke. Reba and Tara are independant contractors and are not on the LDFC payroll. Please do not contact them with questions about store policies or other Long Dog Fat Cat business related questions. I found it interesting how you mentioned how you regularly bring your dog into a grooming service to help remove blemishes and keep your dog’s hair running smoothly. My wife and I are about to adopt our first dog and we want to make sure she can have the healthiest life possible! I will be sure to keep this in mind as I continue to search for a dog grooming service in my new area! it was an excellent locate. Thanks!